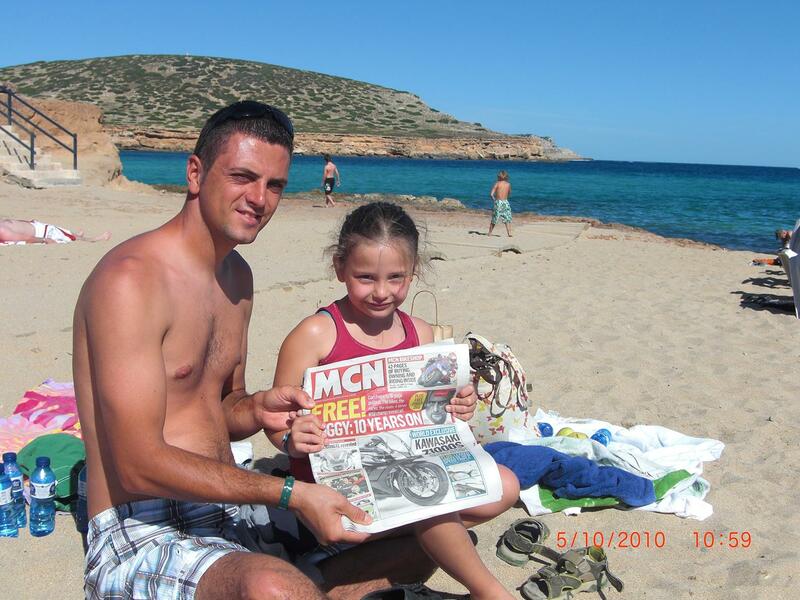 I went to Ibiza for a week on October 2, making sure not to read my issue of MCN until I arrived. This is me and my niece, with my two nephews running for the sea in the background. You ask/You answer: My mates are way faster than me. What do I do? Why is my Yamaha R6 dying on me?